AMAG is known for their high quality security systems; that’s why we’re proud to be a certified AMAG installer! Here at FiberPlus, we’re always looking for ways to build our expertise and offer a wider variety of services for our customers. That’s why we recently became a certified AMAG installer! In addition to AMAG we also offer Hirsh. AMAG Technology provides security solutions that fully integrate with various technologies. AMAG has a great reputation, installing 30,000 systems in 110 countries for the past 40 years. We’re glad to be able to offer these high-quality security systems. Let’s take a look at all the AMAG has to offer. 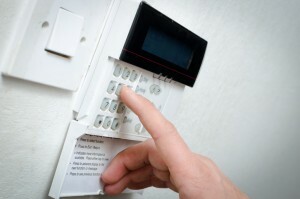 AMAG Technology has earned a great reputation in the security systems industry. Their reputation comes from providing a quality product that goes great lengths to work with customers’ specific needs. The Symmetry™ Access Control and Integrated Security Management System is what fuels every AMAG security system. Every Symmetry installation has flawless multi-way integration between various different technologies. This means that technologies like access control, video, visitor management, smart card, and biometrics can all be easily accessed on a single, cutting edge platform. Within Symmetry’s video management system is advanced image capture and retrieval that is integrated with other technologies for an easy and efficient user experience. Not only can multiple technologies be accessed through a single system, but this system can be accessed across multiple locations for optimum accessibility. This unprecedented system delivers intelligent technology that creates alerts only at times of potential risk. Clients in various industries–including government, education, finance, transportation, healthcare, utilities, and more–can benefit greatly from an AMAG security system. With the advanced technology solutions offered by AMAG security systems, we’re proud to be able to offer this option to our clients. FiberPlus promises the communities in which we serve that we will continue to expand and evolve as new technology is introduced within the telecommunications industry. Have any questions? Interested in one of our services? Call FiberPlus today 800-394-3301, email us at info@fiberplusinc.com, or visit our contact page. Do you enjoy clicking “Like” and “Follow?” Be sure to click on our official Google+, Pinterest, Facebook, Twitter, and LinkedIn pages today! This entry was posted on Monday, August 8th, 2016	at 5:33 pm	. You can follow any responses to this entry through the RSS 2.0 feed. Both comments and pings are currently closed. What’s the Difference Between Wireless Access Points and Routers? Copyright © 2019 FiberPlus, Inc. All Rights Reserved.